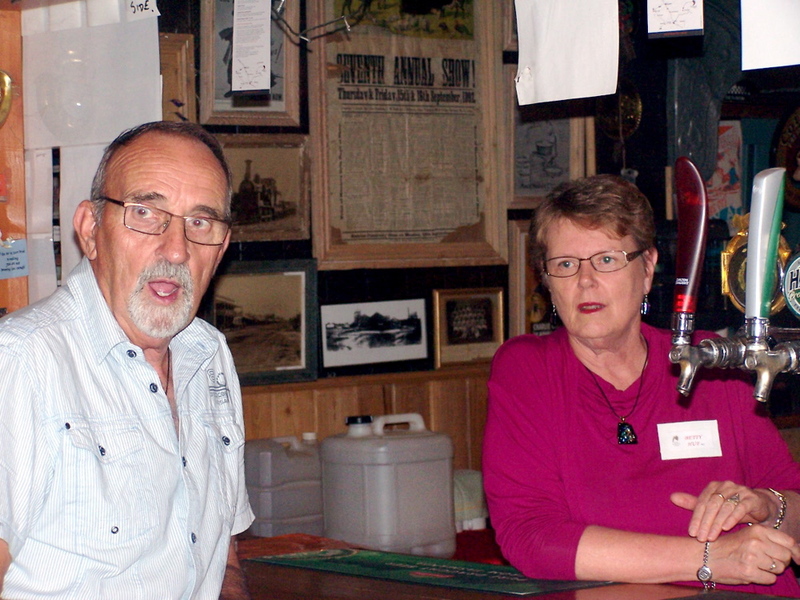 Tour organiser Betty Huf with our host at "The Rusty Bail" restaurant. At "The Rusty Nail" restaurant. 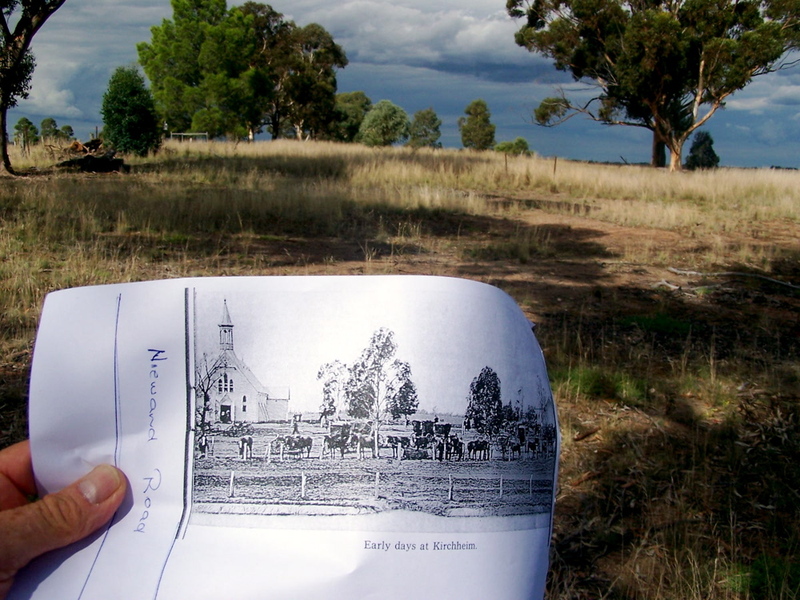 The actual site of the old Kirchheim Lutheran church, now re-located to Minyip. 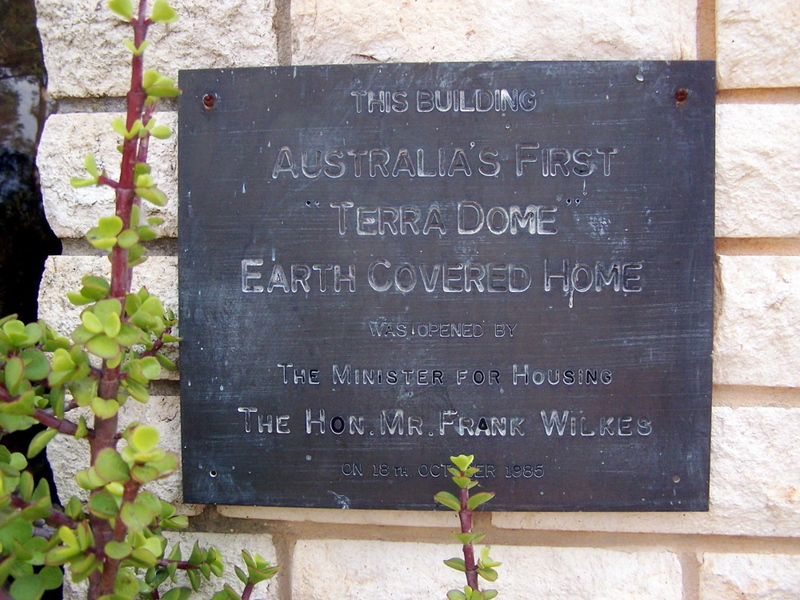 Plaque at David Pietsch's "Terra Dome" home. 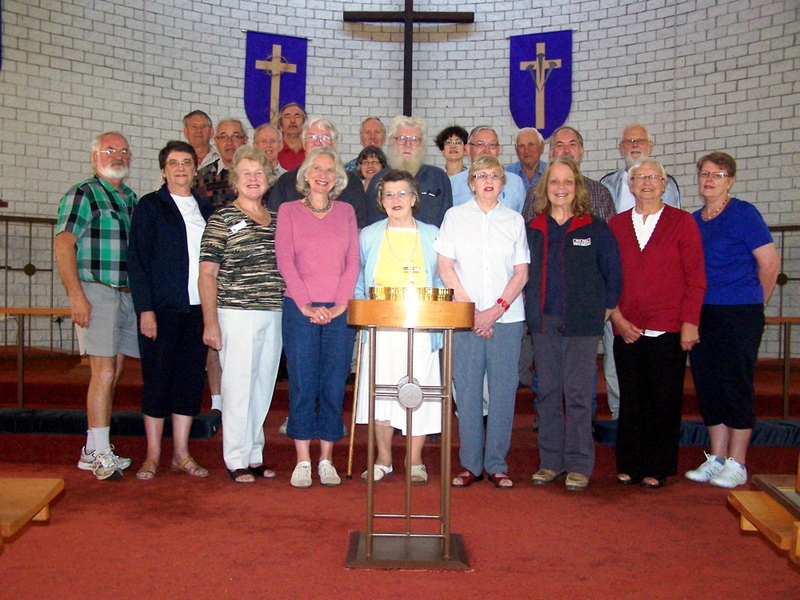 Some, but by no means all, of our group, in the Warracknabeal Lutheran church on the last day of our tour. 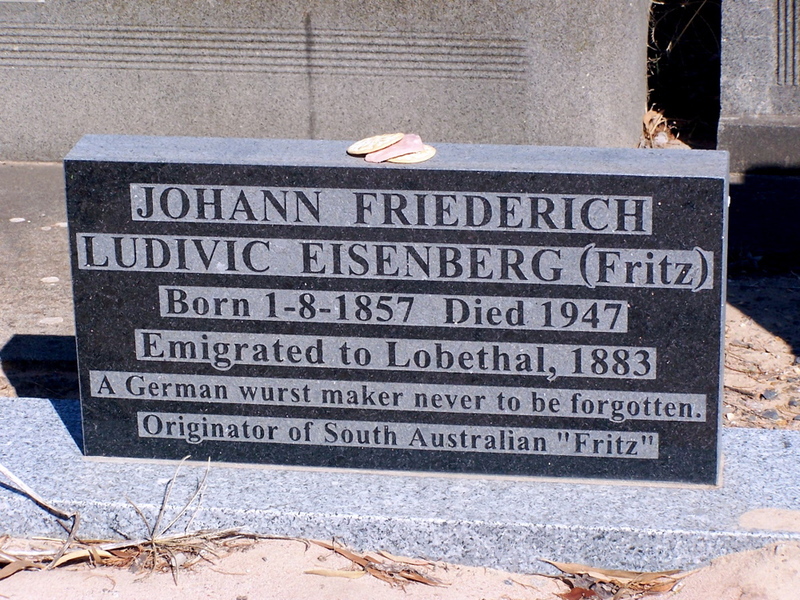 The tombstone in the Warracknabeal cemetery of the originator of "Fritz", an Australian institution. Our erstwhile "leader", Betty, of Tarrington, and Gilbert Materne, of Adelaide. Clay Kruger at the Wheatlands Agricultural Museum. 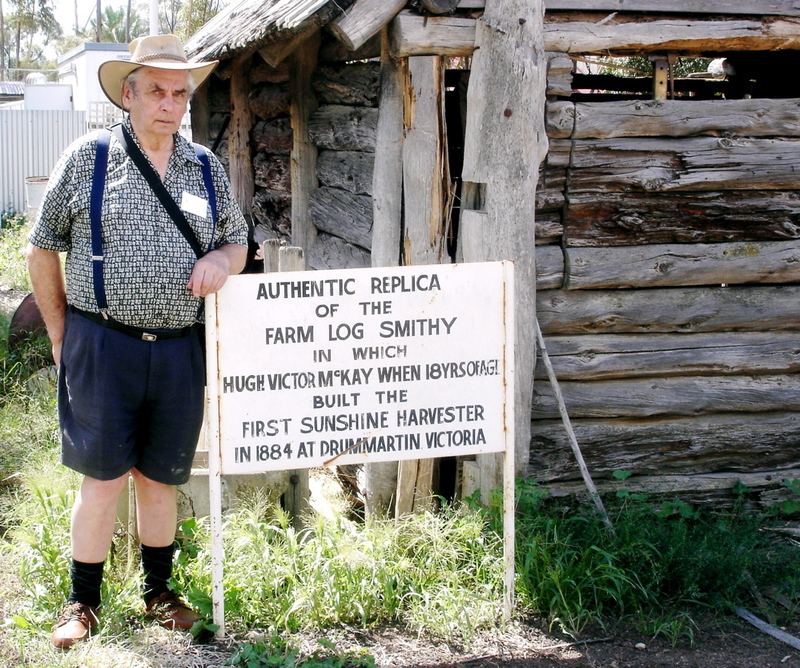 Geoff Matuschka at the Wheatlands Agricultural Museum, standing beside a large piece of farm machinery once owned by his grandfather. Gladys Koch and Glenys Wollermann at "The Rusty Nail" restaurant. This year’s tour, organized for those who are interested in the history of German and Wendish people, focussed on the districts of Warracknabeal and Minyip. The tour is traditionally held on the Victorian Labour Day weekend which this year was from 12 to 14 March. For those who arrived at Warracknabeal during the Saturday morning, a visit to the Wheatlands Warehouse was of great interest. It is a huge secondhand store run by volunteers of the Warracknabeal Historical Society to raise funds for the Wheatlands Museum. 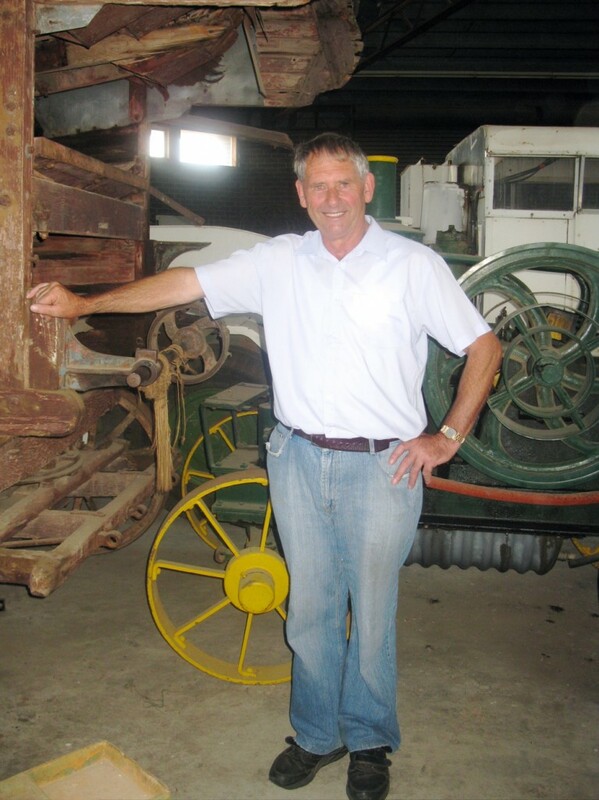 At 1pm Tour members met at the Historical Society Museum in Scott Street, Warracknabeal. The Museum had a vast collection of memorabilia, photos and information depicting over 100 years of history of Warracknabeal and District. The display included things which related to Germans in the area, including some items from the former Areegra Lutheran Church. The tour then moved on to visit the Wheatlands Agricultural Museum. This museum houses one of the largest collections of tractors and farming machinery in Australia. The displays also included visual footage of their history, and tour members appreciated being able to see how the various machines worked in the field. 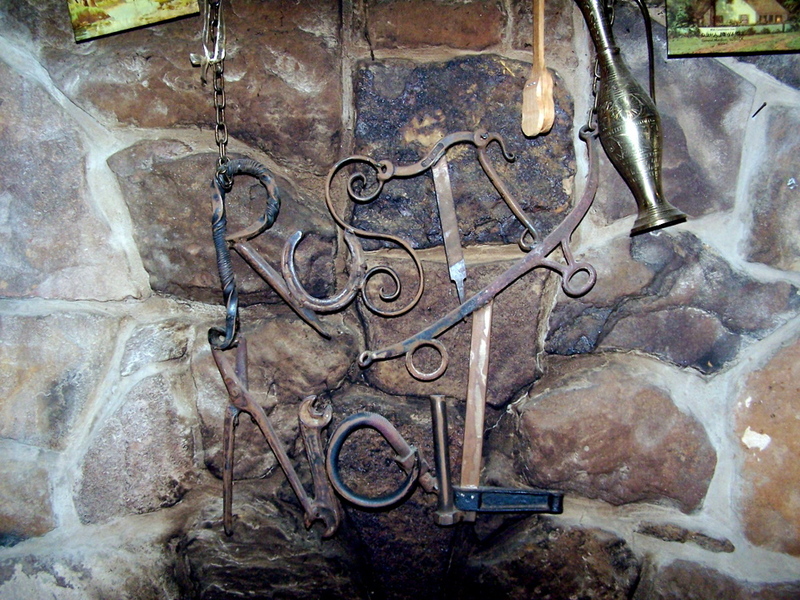 The Saturday evening dinner was held at the Rusty Nail Restaurant, which had been constructed and decorated entirely from recycled materials. The ambience created made the venue one that had to be seen to be believed! On Sunday morning a bus tour followed Divine Service at Our Redeemer Lutheran Church, Warracknabeal. A local guide gave information on the farms owned by Germans throughout the area as the tour travelled to visit the sites of the former Areegra and Bangerang Lutheran Churches and the Lutheran School at Walden. After lunch in the “Coopers Crossing” room at the Club Hotel, Minyip, the tour visited Sheep Hills and its cemetery, the Minyip Cemetery and the site of the Lutheran church and school at Kirchheim. In the evening, at the Minyip Lutheran Church, an illustrated presentation was given on the history of the area, including the moving of the Lutheran Church from Kirchheim to Minyip. Musical items interspersed with readings from the epic poem Wimmera by Minyip poet, Homer Rieth, completed the evening. 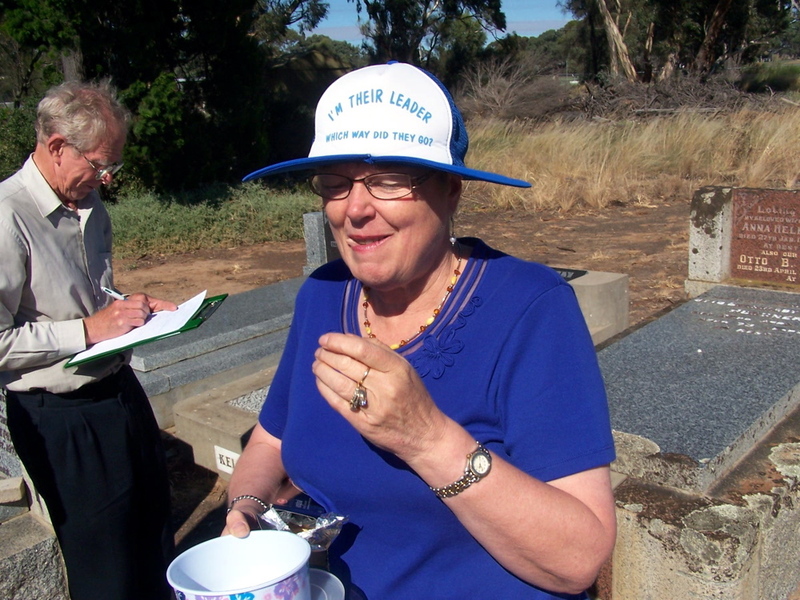 A visit to the Warracknabeal Lutheran Church and the Warracknabeal Cemetery concluded the tour on Monday. 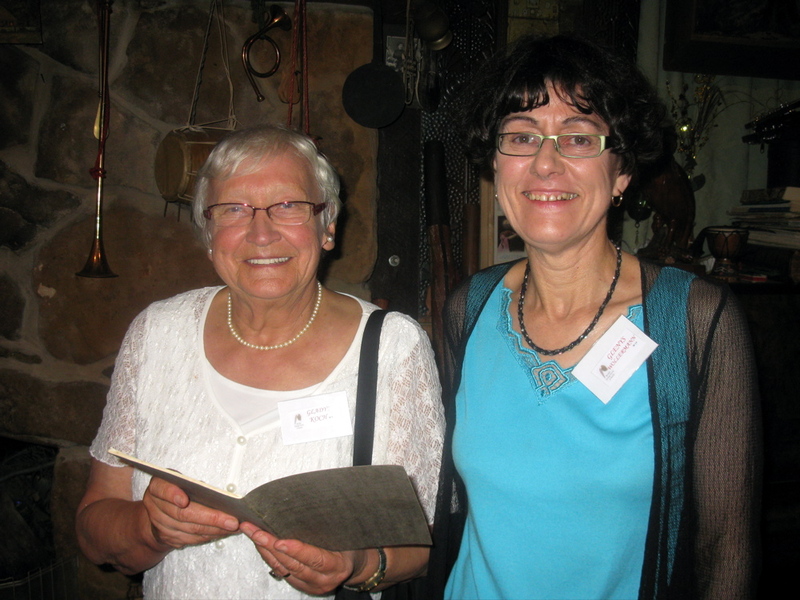 Just over 30 people enjoyed the tour this year, which was organized by Betty Huf and Clay Kruger, with the generous assistance of members of the Warracknabeal and Minyip Lutheran congregations and Historical Societies.